HIGH SPEED & TRANSMISSION STABILITY – Category 2 certified, 18 Gbps, 4K Video, 2160p, 1080p, 48 Bit Deep Color. This high speed HDMI cable has gold-plated connectors for maximum conductivity, and corrosion resistance; aluminum foil and mylar shielding to protect it from electromagnetic interference (EMI) also known as radio-frequency interference (RFI), to ensure the purity of the digital signal, and provide maximum sound & picture quality. With PVC outer layer for durability. EXTEND OR MIRROR YOUR COMPUTER – Under mirror mode, you can enjoy the movies or play games on HDTV which displays the same content as your PC or Macintosh computer desktop; under extended mode, each display simply gives you more desktop room since they’re separate. That means you free up your VGA, DVI, or other video interface available on your computer for multiple display options. You can also use a special HDMI splitter if you want more display/monitor. 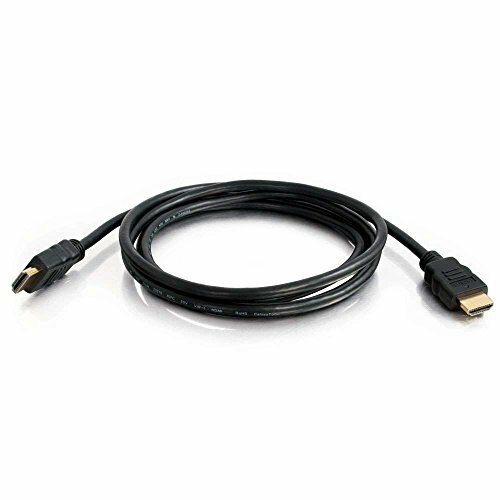 MULTIFUNCTIONAL SUPPORT – FOConnectivity’s high-speed HDMI cable supports a variety of functions including Ethernet, 3D, 4K video, Audio Return Channel (ARC) and hot plugging (also known as hot swapping, or the ability to add and remove devices to or from a computer system while the computer is running, and have the operating system automatically recognize the change). Superior for all 2.0 Standard devices as well as being backwards compatible with previous HDMI Standards (v1.4 and v1.3). High-Definition Multimedia Interface (HDMI) has become the standard for high-definition digital devices. It combines both audio and video into one convenient cable. 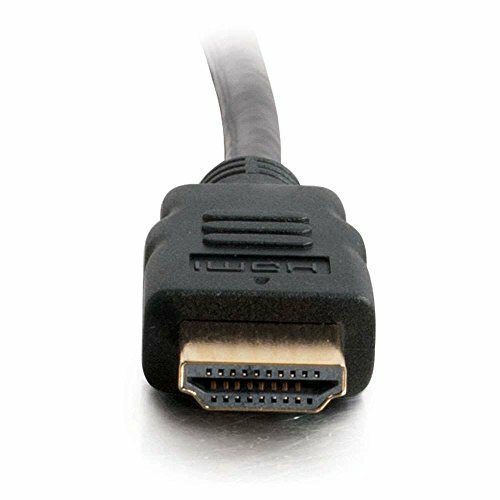 With this FOConnectivity High-Speed HDMI Cable, you can easily play your Xbox 360, PlayStation 3, Blu-ray player, satellite dish, or other HDMI device on your big-screen HDTV or computer monitor. From small mobile, home-entertainment, or gaming device to large HDTV or projector, playback just got more impressive. Delivering clear, vibrant video, the FOConnectivity High-Speed HDMI Cable with Ethernet meets HDMI 1.4 specifications, which means it supports 1080p and 2160p (4K) video resolution and an increased color depth of 48 bit/px. It also supports 3D television functionality—perfect for immersive 3D gaming and 3D home-theater applications. The versatile cable’s built-in Ethernet allows for sharing an Internet connection among multiple devices—no need for separate Ethernet cables. You also get high-quality audio, minus the need for any extra cables, thanks to the cable’s built-in Audio Return. 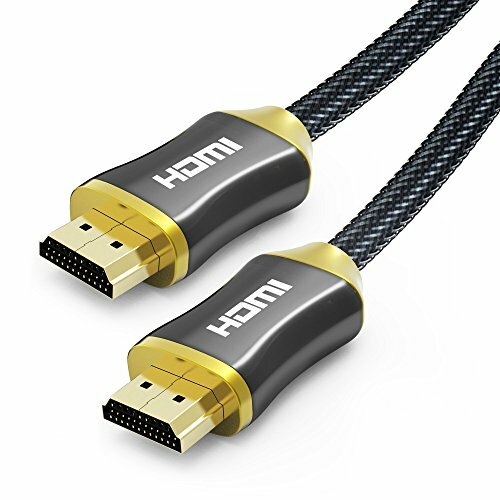 The FOConnectivity High-Speed HDMI Cable features gold-plated, corrosion-resistant connectors (A Male to A Male) that deliver optimal signal transfer with lower distortion at the point of contact. 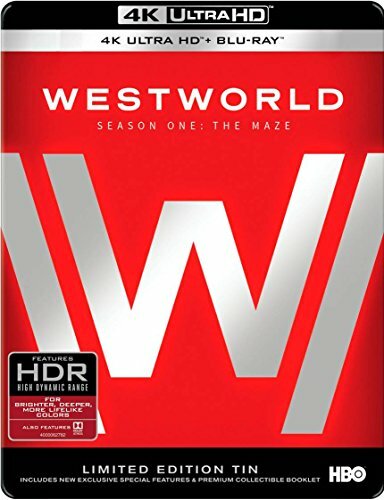 This dedication to the digital signal provides sound and picture quality that is truer to the original. 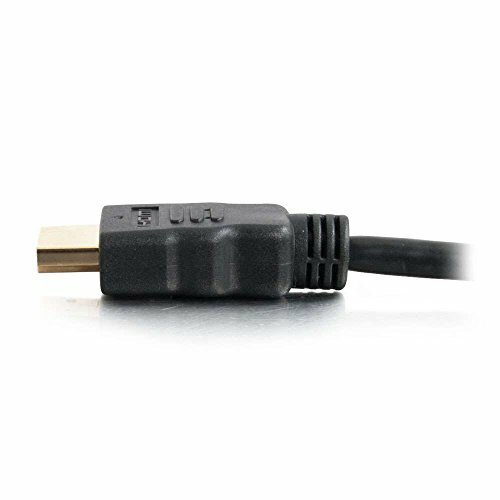 The HDMI cable also comes with a durable, black, PVC outer layer and shielding, which defends against outside interference, helping to maintain the integrity and purity of the digital signal. 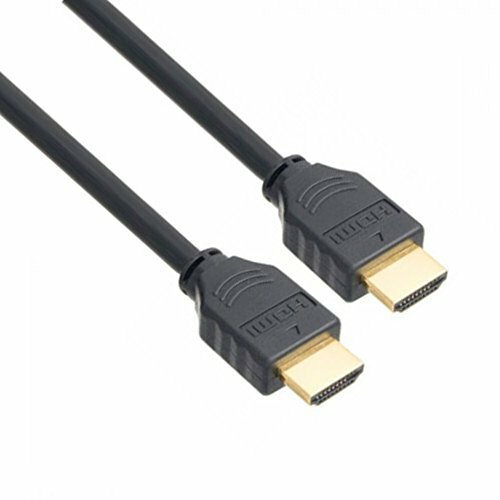 Because it’s backwards compatible with all previous HDMI standards, the HDMI cable can be used with all HDMI devices. When you connect two devices with different HDMI standards, they will automatically find the best available connection. UNIVERSAL COMPATIBILITY – FOConnectivity HDMI Cables allow you to share an Internet connection among multiple devices without the need for a separate Ethernet cable. 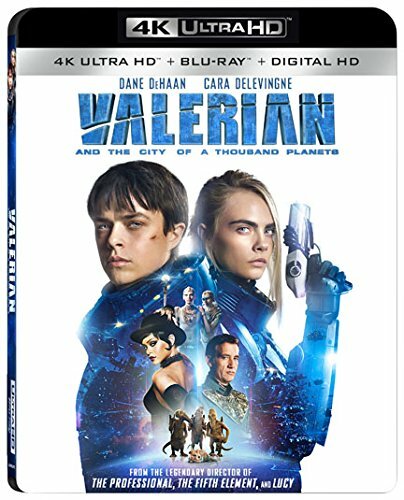 Easily connect your TV to your Blu-ray players, Fire TV, Apple TV, PS4, PS3, Xbox one, Xbox 360, PC or Macintosh Apple laptop or desktop computers, projectors and other HDMI enabled devices to TVs, displays, A/V receivers, HDMI switchers, hubs, splitters, and much more. Available in 3, 6, 10, 15, 25, 50, 75 and 100 ft cable lengths. PREMIUM SUPPORT – We at FOConnectivity, guarantee excellent quality on all our cable products. However, we do acknowledge that no matter how good a product may be, some unforeseen events or problems of any nature might still arise. Seldom as it may, if it ever happens, we have a fast and easy-to-reach Customer Service ready and capable to take care of any warranty or solve any type of issue about our products within 24 hours.